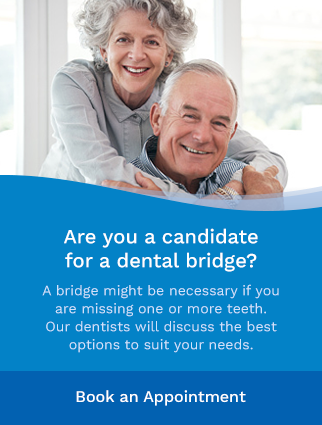 Meet your dentists at Mayflower Dental in Sydney. Dr. Baker was born and raised in Glace Bay. He graduated from Glace Bay High School in 1999. He then entered his undergraduate studies at UCCB and graduated with a Bachelor of Science degree in 2003. Dr. Baker obtained his Doctor of Dental Surgery (DDS) from Dalhousie University in 2008 and has since been practicing general dentistry as a partner with Mayflower Dental Group. Currently, in his seventh year of practice, Dr. Baker works full-time at Mayflower Dental Centre. He enjoys all aspects of general dentistry, cosmetic dentistry including crown, bridge, veneers and implant dentistry (surgical placement and restoring the implant). He is currently working toward a certificate in oral sedation/nitrous oxide administration. Dr. Baker’s number one goal as a dentist is to make his patients feel comfortable under his care while creating a healthy smile. When not at work, Dr. Baker enjoys spending his free time with his family on their hobby farm in Mira. With a passion for horses, they enjoy riding and competing in local and off island competitions. An active individual, Dr. Baker participates in many sporting activities including hockey, Crossfit and snowmobiling. He is a proud Cape Bretoner and happy to call Cape Breton Island his home. Dr. Bungay was born and raised in George’s River. He graduated from Memorial High School in 2005. Dr. Bungay completed his Bachelor of Science in Biology (Hons) from Cape Breton University in 2009. During his time at CBU, Dr. Bungay did research for the biology department and eventually wrote and defended his thesis. Dr. Bungay attended Dalhousie University and graduated in 2013 with his Doctor of Dental Surgery Degree. Dr. Bungay came back to Cape Breton after graduation and joined Mayflower Dental Group. He is currently practicing as an associate at the Mayflower Dental location. Dr. Bungay and his professional team are committed to their patients and enjoy providing a caring and comfortable atmosphere. Dr. Bungay practices all areas of general dentistry including restorations, extractions, root canals, crowns, bridges and implant restoration. One area that Dr. Bungay enjoys is cosmetic dentistry, helping his patients achieve the smile they deserve. Dr. Bungay now resides in Westmount with his wife and three young children. They are a busy family and enjoy all outdoor activities. Dr. Bungay is very pleased that he was able to come back home and practice dentistry and raise his family. Originally from Cape Breton, Nova Scotia, he completed dental school at Dalhousie University in Halifax followed by 2 years of private practice in general dentistry. Three years later, he then completed his periodontal residency at the University of Michigan. His graduate research focused on methods for improving the accuracy of CBCT based surgical implant guides. He has been practicing, since then, periodontics for 3 years in Saskatchewan and Michigan, USA. Dr. Edwards is a Diplomate of the American Board of Periodontology and a fellow of the Royal College of Dentists in Canada. He is experienced with all aspects of periodontal and implant therapy, including hard and soft tissue regeneration. He is also proficient in I.V. sedation. Bruce and his wife Stephanie, a French Acadian from Fredericton, have a 15-month-old son, Thomas and 2 dogs, Finnegan and Woodson. His interests are football, hockey, water sports and spending time in the outdoors with his family. They are very much looking forward to the quality of life that our beautiful province has to offer and to coming back to the Maritimes, close to friends and family. Dr. Claener completed his undergraduate studies at St. Francis Xavier University. He then attended McGill University for Graduate School and went on to complete his Doctor of Dental Surgery. Dr. Claener started his private practice after graduating from McGill Dental School. While practicing Dentistry, Dr. Claener taught at McGill Dental School part-time. Dr. Claener was also on staff at the Reddy Memorial Hospital for two years. Mayflower Dental Group is pleased to have Dr. Claener and his dental team at our Mayflower Dental location. He enjoys all aspects of general dentistry, cosmetic dentistry, periodontal therapy and TMJ therapy. Dr. Claener is constantly learning new techniques in dentistry and taking part in Continuing Education Courses. When not practicing Dentistry, Dr.Claener likes to spend time with his family and pursuing his passion for photography. When not doing those things, he enjoys music and reading. Mayflower Dental Group is pleased to have Dr. Curtis White join the team at our Mayflower Dental location. Dr. White grew up in George’s River and graduated from Memorial High School. He completed his BSC Honours in Chemistry. Dr. White graduated received his Doctor of Dental Surgery in 2013 from Dalhousie University. He has been practicing dentistry in the NWT and recently moved back to Cape Breton from Newfoundland. Dr. White is interested in all aspects of dentistry; with a keen interest in emergency care, cosmetic dentistry and implants. His goal is to work closely with his patients to ensure they receive the best care possible and feel comfortable while they are here. In his spare time, Dr. White enjoys spending time with his wife, running, biking and boxing. He has plans to coach boxing now that he is back in Cape Breton. Book an appointment today with Mayflower Dental. We're open from 8am to 8pm Monday-Friday and from 8am to 6pm on Saturdays.